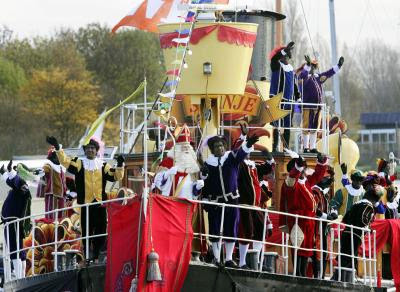 Let me tell you Sinterklaas is a celebrate on 5th December in various regions of Europe. So I thought of making some nails. Sinterklaas is an old man just like Santa, who brings gifts. 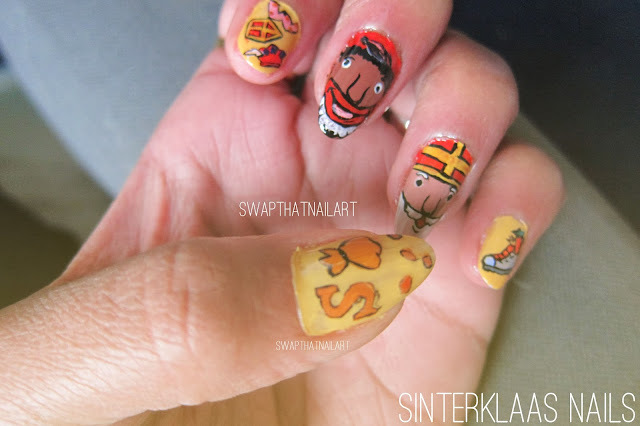 I painted him and Zwarte Piet (these are helpers). Along with that sweet Chocolate letter, pepernoten (spiced cookies), marsepien (sweet made out of almond) and shoe in which a carrot and poem is placed for a Sinterklaas. 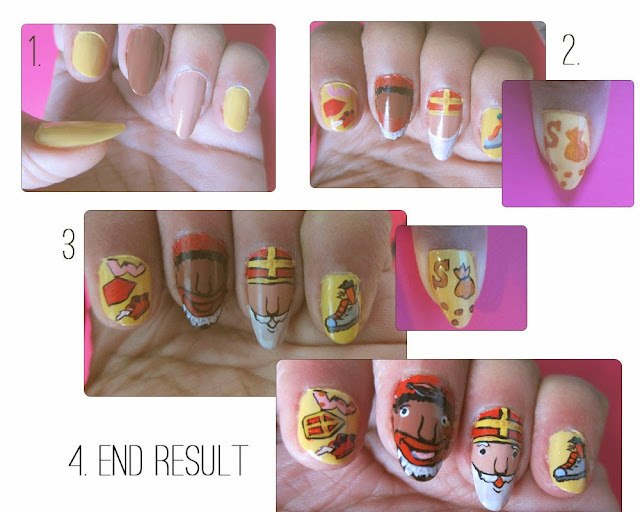 I will try to explain in short about Sinterklaas. He lives in Spain and he comes in steamboat to Netherlands for his birthday. He comes with Black Petes who are his helpers. They are black because they are the one who enters through chimney to deliver presents. You also sing songs for Sint. You put a carrots and a your wishlist in a shoe under chimney. If you had behaved as a good kid for whole year, the you receive presents, otherwise Sinterklaas takes you to Spain with him as a punishment. If you want to know more you can read it form here- Sinterklaas.